The Ashoka Silicon Valley chapter (Ashoka.org/sv) is building a community that brings together the world’s top entrepreneurs, thought leaders and philanthropists in Silicon Valley to collaborate, communicate, and innovate alongside the global Ashoka community to drive positive social change. Ashoka SV is organizing an Innovation Exchange Series whereby Ashoka staff and Ashoka Fellows from around the world working on a particular cause will visit the SF bay area for a week. The first such event was focused on Women & Girls – Innovative & scalable models for empowering & preventing violence against women and girls. 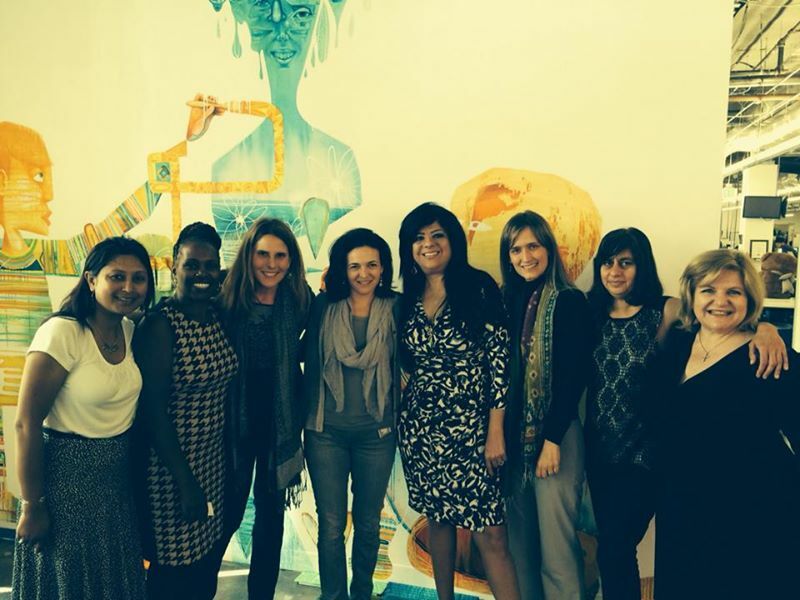 Iman Bibars, Regional Director of Ashoka Arab World, and four female Ashoka Fellows visited the SF bay area the week of March 10th. Bibars is a champion of women’s rights and one of the most successful social entrepreneurs in Egypt and the Middle East. 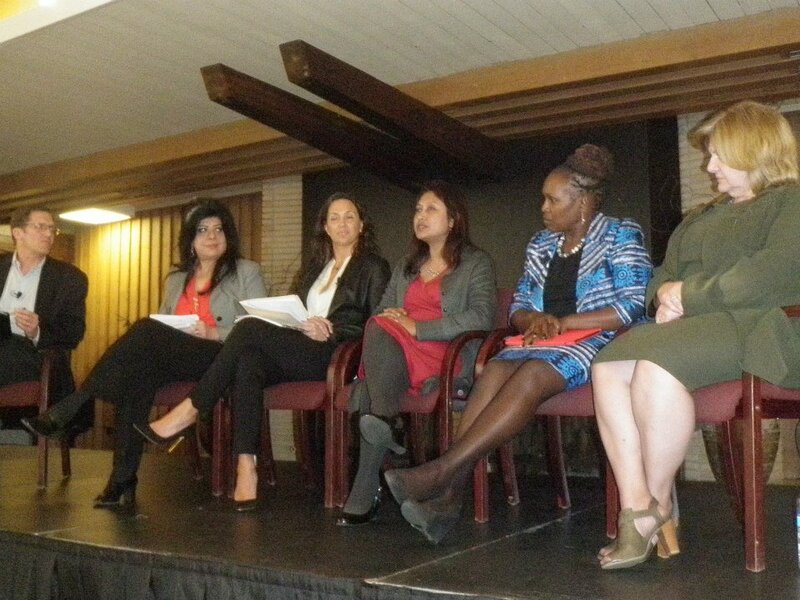 The group was a part of a panel discussion organized by Stanford PACs and participated with Silicon Valley women leaders in a Leadership workshop offered by Global Women’s Leadership Network. They also engaged in a deep dialogue with Fellows from the Stanford Center for Democracy and Social Justice. Below are the bios of Iman Bibars and the Ashoka fellows. Iman Bibars is the Regional Director of Ashoka Arab World (AAW) that she launched in 2003. Iman has dedicated her life to working with the marginalized groups of female heads of households in Egypt. She has over 30 years experience in community development and strategic planning and is also a Peace Fellow at Georgetown University and a Parvin Fellow at Priceton University. Ann Njogu has paved the way for women who are the victims of sexual and gender based violence to find justice and for the innocent to be protected. A serial entrepreneur, she has done this by organizing creative grassroots media campaigns and by sharing simplified versions of relevant laws and legislation like the Sexual Offences Act. Over the past decade, Ann has emerged as a leader in the fight to curb gender and sexual violence in East Africa and her work continues to grow. Hasina Kharbhih created the internationally acknowledged Meghalaya Model, a comprehensive tracking system that successfully brings together the state government, security agencies, legal groups, media, and citizen groups to combat the cross-border trafficking of children in the porous Northeastern states of India. Laila Risgallah created the first structured initiative in Egypt that focuses on raising awareness about the sexual abuse of children (ages 4-16), detecting the problem, and helping children cope with the consequences. Working in schools, nurseries, and orphanages with teachers, students and social workers, Laila is tackling sexual abuse with preventative measures as opposed to just rehabilitation after the abuse. Mariana Baños is democratizing access to psychological services for women of all socioeconomic backgrounds throughout Mexico. Mariana’s work addresses the violence and underlying sense of disempowerment that many experience by providing sustained and consistent professional support free of cost to any woman in Mexico who has access to a telephone.